Each year, the research firm Brandon Hall conducts a study across the Learning Technology industry to discover trends, desires, and new technology in the business. Here at OpenSesame we have read the whole study so you don’t have to! Below are the main points of the study, as well as possible future focuses in the LMS and elearning industries. Although elearning has come a long way since its induction into the corporate world in the late 1990’s, there are many frontiers yet to be explored. As the world becomes more connected through social media and online forums, almost half of the companies surveyed are looking for social and collaborative tools in their online learning. These include tools directly integrated in the LMS, as well as courses which incentivize group work as well as peer feedback. Out of all the businesses surveyed, no one gave their present learning options above a “C”. This represents a huge opportunity for companies looking to capitalize on the market. With many firms out there creating new content, administering new LMS’s, and advancing technology at a rate never seen before, look for more modern options to display soon. Businesses look for ways to improve productivity while not jeopardizing valuable time. mLearning allows for people to take courses on the train home from work, a plane on the way to a convention, or in the privacy of their own home. While 43% of companies communicated a desire for more mlearning options, content providers are racing to deliver top courses compatible with most systems. Of the companies polled, an average of 40% of the learning and development budget was spent on an LMS. This leaves 60% for content, social technology, mobile technology, and new developments. Curated catalogues of courses are a great way to maximize what’s left of the budget, as they include only the courses most needed for you and your business. Check out OpenSesame’s pricing options to boost your company’s results! Almost every corporation submitted an appeal for integration in learning systems. 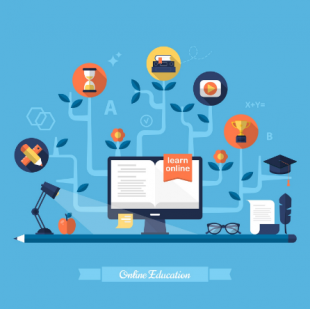 Whether it is the LMS into the corporate website, the courses into the LMS, or simply an integration of learning into the culture of the firm, making learning easily accessible is important. As technology advances, this will become more effortless. Keep an eye out for the newest trends in learning technology and elearning by reading the OpenSesame blog!